Happy JRPGJuly! 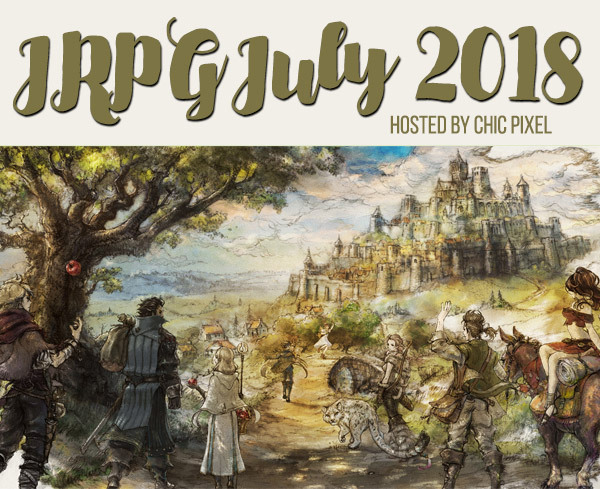 Every year for the past 4 years I’ve made July’s Community Game-Along theme JRPGs, and its quickly grown to be the most popular monthly event I run! To participate, simply use the hashtag #JRPGJuly to post impressions of the JRPGs you’re playing, photos of your game collection, or anything else JRPG-related to be featured in the roundup post once the month’s theme is finished! I love to see all kinds of submissions, from blog posts, reviews, let’s plays, podcasts, or whatever else you can come up with, so don’t feel like you need to be limited to posting impressions on social media! What exactly counts as a JRPG? The “J” stands for “Japanese,” so in essence, a JRPG is any RPG made in Japan. Over the years, people have identified certain notable qualities of RPGs produced in Japan, such as turn-based battles, protagonists with developed personalities and backstories (as opposed to blank slates for the player to meld as they like), etc. For the purpose of JRPGJuly, though, any RPG made in Japan or any RPG that seems to have been influenced by Japanese RPGs (such as Undertale) counts! When in doubt, feel free to ask, but the important thing about JRPGJuly is to celebrate games, so if you have a good reason to play the game you want to play, I say go for it! If you can’t decide what to play this month, here are a few 2018 JRPG releases you might want to consider. And if you have limited free time and want to kill two birds with one stone, you can grab an action RPG that’s also a JRPG and start it this month, because next month’s theme is action RPGs! 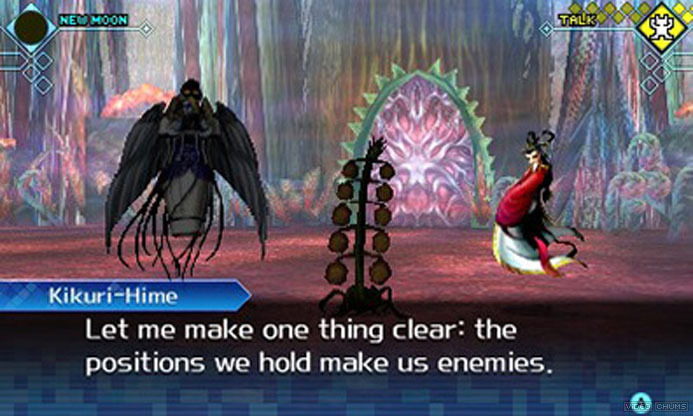 Shin Megami Tensei: Strange Journey Redux (3DS) – Strange Journey Redux is a remake of the sci-fi first person dungeon crawler Strange Journey for the DS. It introduces new characters, new demons, new animations, and more, so there’s plenty new even if you’ve played the original! If you like classic Shin Megami Tensei dungeon crawlers or think having the ability to chat with demons to get them to join your party sounds pretty rad, you might want to check Strange Journey Redux out! 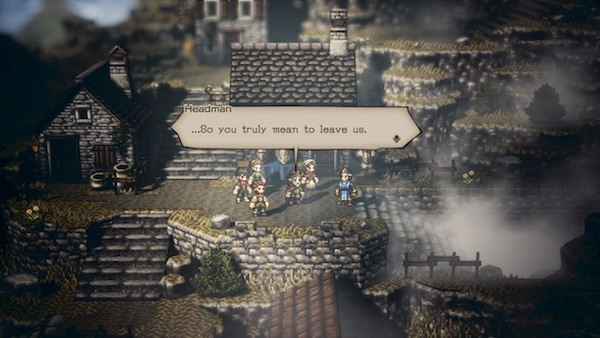 Octopath Traveler (Switch) – Square Enix’s latest RPG is a return to more classic visuals and turn-based gameplay, but with some more modern twists. There are eight different characters to play as, each with their own gameplay style and story, that will all eventually come together in one grand narrative. If you liked the Bravely Default games, some of the same team worked on Octopath Traveler, so keep an eye out for it when it releases on July 13th! In the meantime, there are 2 demos on the Switch to get you started. 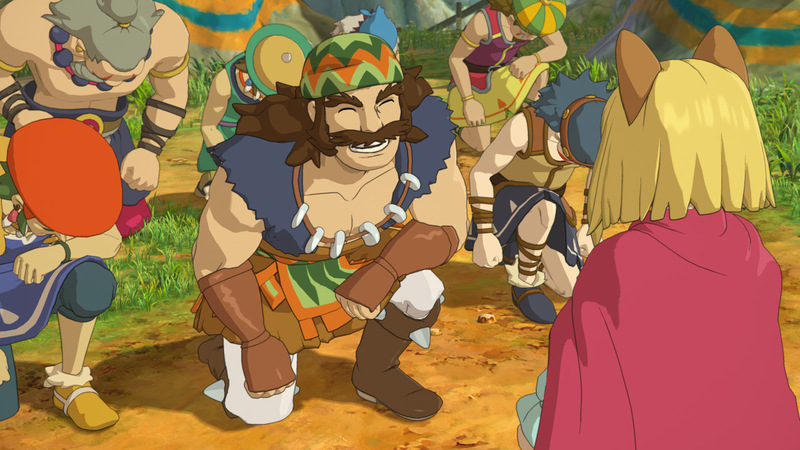 Ni no Kuni II: Revenant Kingdom (PS4, PC) – Ni no Kuni II: Revenant Kingdom is the long-awaited return to the series after Ni no Kuni: Wrath of the White Witch for PS3 charmed many with its gorgeous Studio Ghibli visuals and Joe Hisaishi soundtrack (did you know there’s a Japan-only DS version of the game, too?). Ni no Kuni II has an action-based combat system, so it would also count for ARPGAugust! You can read my full impressions in my review over at ReadySet. Atelier Lydie & Suelle: The Alchemists and the Mysterious Paintings (PS4, Switch, PC) – I love how colorful and happy the Atelier games are, so I can’t miss the chance to recommend the latest game in the series. 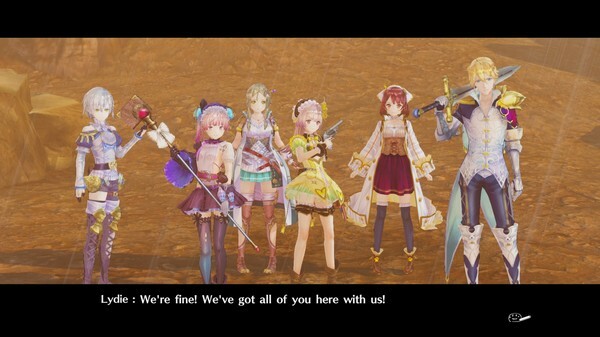 Atelier Lydie & Suelle is the first Atelier title to be released for the Nintendo Switch, and though I haven’t played Atelier Firis or this title yet, I’ve heard Lydie & Suelle fixes some of the problems fans had with the alchemy system in Firis. 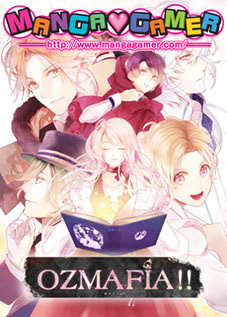 If you’re looking for a more relaxing game for JRPGJuly, this would be a great choice! I love seeing all the JRPGs people pick to play, from classics like Chrono Trigger to more recent releases like Persona 5. Even the folks at RPGamer get involved – check out their intro post to see what their staff will be playing! What will you be playing this month? Let me know in the comments! If I have a chance, I’m planning to finally start Persona 5! 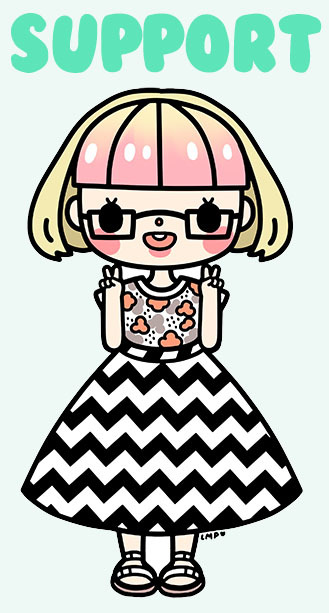 Support Chic Pixel directly and get access to lots of cool behind-the-scenes stuff by becoming a member of my Patreon for as low as $1/month!